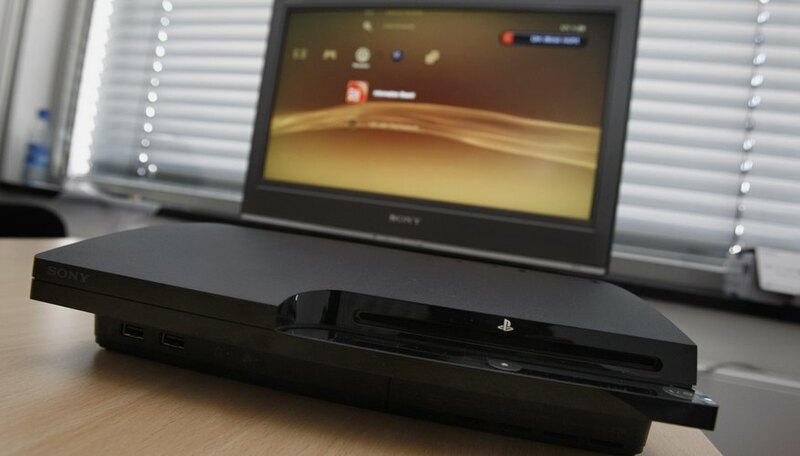 Jailbreaking a PlayStation 3 opens up new uses and possibilities for your gaming console. Home-brew games and the ability to load an alternate operating system are two reasons why PS3 owners opts to jailbreak their system. Jailbreaking does not come without a cost though. Some methods of jailbreaking require that you perform a hardware modification to your PS3 which could potentially damage the system. PS Groove is a jailbreaking tool that you can use to reprogram a USB device to act as a PS3 Mod chip. You can use also use software stored on a USB drive to permanently jailbreak your PS3 without a hardware modification. Download the Teensy Loader application from PJRC.com and then download the PSGroove.hex jailbreaking tool from Github.com. Install Teensy Loader on your computer and connect the Teensy USB device to an open USB port on the computer. Click "File." Select "Open Hex" in the Teensy Loader window and load the "psgroove.hex" file onto the Teensy USB device. Turn off and unplug your PS3 to cut all power to the unit. Make sure that all USB devices and Blu-ray discs are removed from the console. Connect the Teensy USB board to your PS3 and plug the console into the power supply. Immediately press the "Power" button, quickly followed by the "Eject" button to flash PS Groove to your PS3. The installation of PS Groove can take several moments. Navigate through the Xross Media Bar to the "Games" menu and select "Install Package Files." Prepare your PS3 by removing all Blu-ray discs, USB devices and unplug the PS3 console. Download PS3 Jailbreak from Geohot.com and install it to your USB storage device. Create a folder named "PS3" and create a sub-folder named "UPDATE." Unzip the "Jailbreak.zip" to the "UPDATE" sub-folder on your USB drive. Move the "PS3UPDAT.PUP" to the "UPDATE" folder on the USB drive. Connect the USB drive to your PS3 and turn the unit on. Select "Settings" from the Xross Media Bar. Select "System Update." Accept the terms and conditions and allow the update to load. After installation, the PS3 will beep four times and shut down. Press the "Power" button on the PS3 to restart the console. The PS3 is now jailbroken. Download and save the Jailbreak PS3 3.73 file holder and launcher from PS3-jail-break.com. Run the PS3 3.73 launcher and extract the files to a blank USB storage device. Insert the USB storage device into your PS3. An installation prompt will pop up on your PS3. Follow the on-screen instructions to jailbreak your PS3. Jailbreaking your PS3 is legal but can void your Sony warranty and prevent you from accessing the PlayStation Network. Jailbroken PS3 consoles cannot receive updates from the PlayStation Network. This may prevent you from playing new games that require a system update. Jailbreaking can go awry and damage your PS3's operating system or hardware.